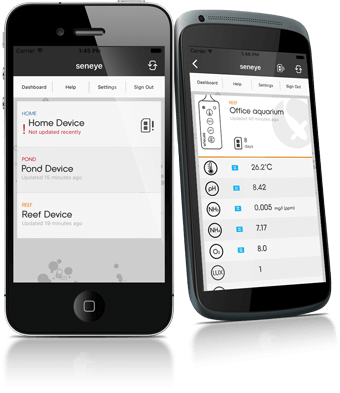 Seneye recently updated their mobile app and the new version is simply called – ‘Seneye V2’. The previous version will be end of life next month (February 2018) so now is the time to update to Version 2. The older version will no longer be supported so it is important that Seneye customers upgrade now. To upgrade to the new version, visit the mobile app store and upgrade to Seneye V2 or click the appropriate device link below. To update to the new version Seneye simply click here for more details. 24/7 continuous, auto refreshing data at your finger tips.